Christian Bergman struck out five and allowed only two hits over seven scoreless innings in his first appearance of the season against the Rangers on Wednesday. 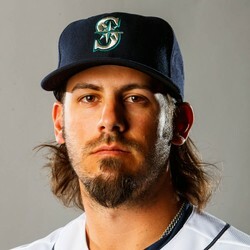 The Mariners got more than they could have asked for out of Bergman in his spot start. Unfortunately for him, there was no support from the offense. The Rangers didn't reach base until the fifth inning, and no runner made it past first base in Bergman's commanding performance.